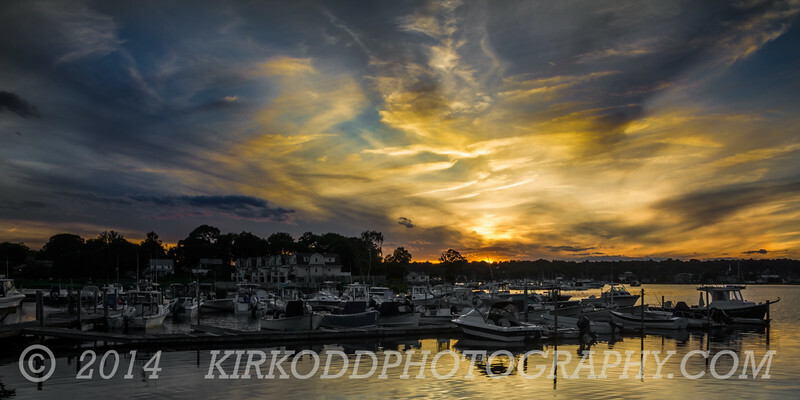 Here is a second picture of docked boats on the Mystic river. The white balance setting was off on our camera when we took this picture, so everything came out looking overly blue (even the white boats were blue). To fix it we just removed most of the blue. Normally, we would adjust the white balance in post processing, but for some reason something made me play with the blue channel instead! I was shocked when I saw how amazing this picture looks after the blue reduction. The black and white marina stands in stark contrast with the yellow sky. This is definitely an oddball photo worth keeping!